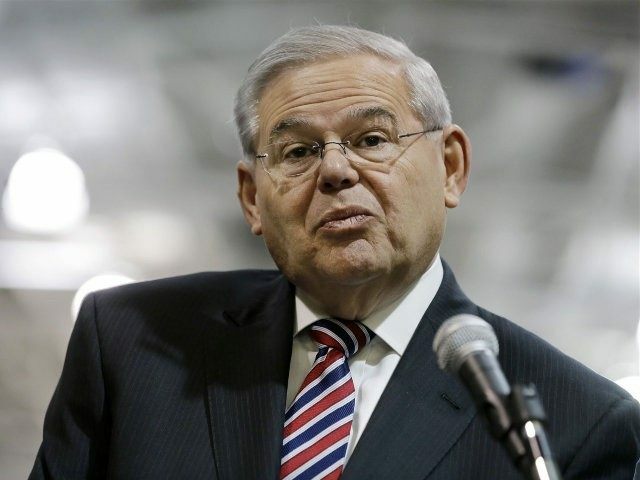 WASHINGTON (AP) — Federal prosecutors are moving toward charging a Florida eye doctor over his dealings with New Jersey Sen. Bob Menendez, according to a person familiar with a Justice Department investigation into their relationship. The person said prosecutors are expected to bring charges against Dr. Salomon Melgen, whose medical offices were raided two years ago by federal authorities and who has been a political donor and longtime Menendez friend. Melgen has not been cooperating with prosecutors against Menendez, according to the person, who was not authorized to comment on the record about an ongoing federal investigation. Menendez, a New Jersey Democrat, could also be charged as early as this week. He has repeatedly said that he has done nothing wrong and that he has always served honorably in Congress. The investigation has centered on whether Menendez abused his office by taking actions to benefit the doctor, who provided Menendez with several flights to and from the Dominican Republic aboard his luxury jet that initially were not properly reimbursed. Menendez has acknowledged official areas where his work seemed to benefit the interest of Melgen, including becoming involved in a Medicare billing dispute, but has steadfastly maintained his innocence. Amid reports earlier this month of looming criminal charges, Menendez noted that he and Melgen have maintained a close friendship that predates his position in the Senate. Justice Department spokesman Peter Carr declined to comment Monday. Menendez joined the Senate in 2006 after serving more than a decade in the House of Representatives. He has indicated that he has no plans to step aside, and even while under scrutiny, has used his voice on the Senate Foreign Relations Committee to criticize negotiations between President Barack Obama’s administration and Iran on its nuclear program and has been outspoken in opposition to normalizing relations with Cuba. The roughly two-year-old investigation flared in 2013 when Menendez, under scrutiny, acknowledged that he flew multiple times on Melgen’s private jet to the Dominican Republic and initially failed to properly pay for the trips. Menendez agreed to reimburse Melgen $58,500. His office later disclosed a third flight, from Florida to New Jersey in 2011, saying he had repaid Melgen $11,250 for it. Last year, the senator disclosed his campaign accounts had paid a law firm $250,000 for legal costs related to Department of Justice and Senate Ethics Committee investigations of his ties to the Floridian. Melgen himself earned renewed scrutiny when government data last year showed he had received more in Medicare reimbursements in 2012 than any other doctor in the country.